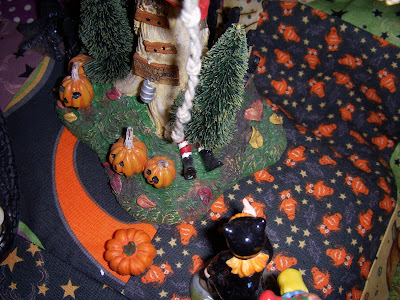 This weekend, we had a Halloween Dance at Curly's store. 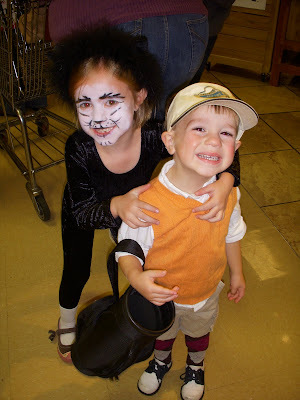 The kids were excited to wear their costumes. Curly used his skillz and made up Mini-me's face. She loved it. 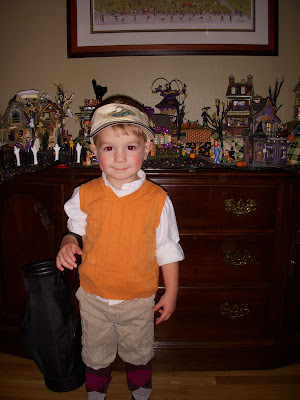 Patch wanted to be a golfer. I am extremely proud of this costume. The only thing I bought were the socks. We even had the mini bag. We have nothing to put in the mini bag, but he will use it for trick-or-treating on Saturday. They had a great time at the dance. They ate candy and cookies and did musical chairs, all while I shopped. I love Giant Eagle! It's one week until my big Molly Patch show here in MD. I am a little nervous. I still have a few samples left to sew, and my price list needs to be adjusted. Then there's the matter of trying to peddle my wares. What if no one buys anything? Ack! It's also one week until the funnest holiday ever: Halloween. Our costumes are ready to go, and the kids are getting excited. We are having a small party before we trick-or-treat. Curly and Flower will be in charge of getting ready while I'm at my show. It should be fun. We are on the downward slope, my friends. Only 9 weeks to go until baby girl is due to arrive. And, with any luck, she'll arrive a week or so ahead of schedule. We won't worry about the lack of a baby quilt, or all the work we have to do to get fully ready. It will get done. I just would like her to be early. Yesterday, Flower and Mini-me spent hours pouring over the latest American Girl catalogue. I asked them to mark 3 outfits and two small furniture items they were interested in. I was very clear that this was just to give us an idea of what they wanted. Flower kept saying: "I'm getting this, and this, and this." I don't think she quite got the point of the exercise. Mini-me is asking for a Molly doll for her birthday, and then for Santa to bring her a few things to go with her. Why the Molly doll, you ask, when Mini-me resembles Kit the most? She loves Molly's glasses. And her table and chairs. This past week has been weird with school. Flower was off Monday while Mini-me had school. Mini-me has had half days Tuesday, Wednesday, and Thursday. Tomorrow, Mini-me is home and Flower is in. 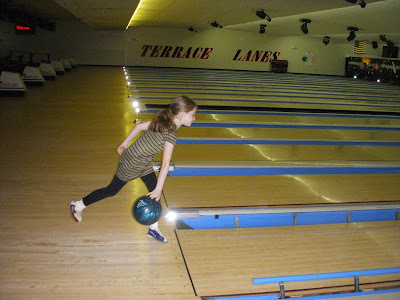 So Monday, we went bowling. Don't tell Mini-me, she still doesn't know. All the balls were the same color, two were the same weight. Somehow, Flower and Patch could tell the two identical ones apart. Flower had great form. Papa Ken would be proud. 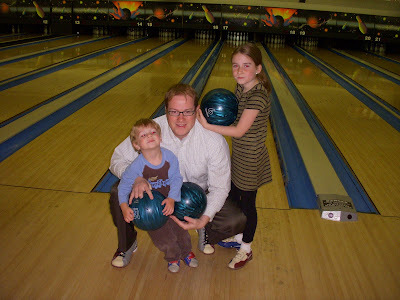 Whenever we bowled growing up, which wasn't often, he would correct our form. Somehow, he knows something about every sport. 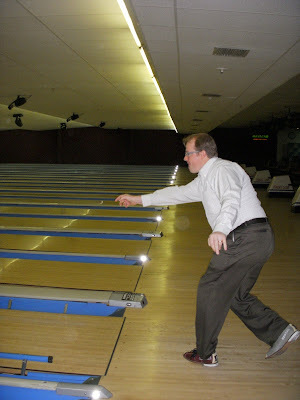 Curly also had great form. 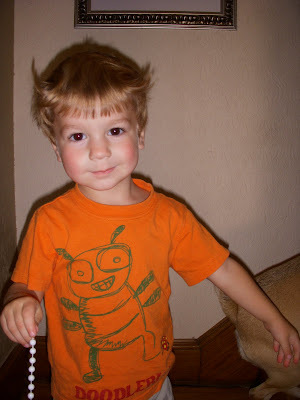 He's also pretty cute. 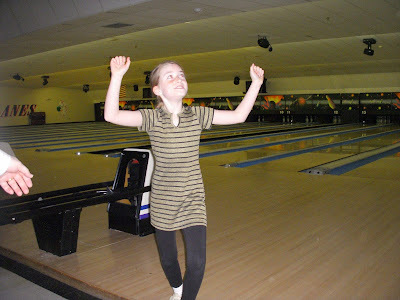 Flower got a strike and was so excited. 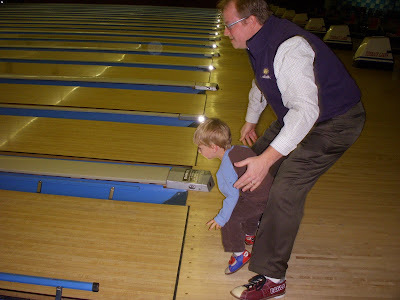 Patch rolled the slowest ball ever down the lane. He did pretty well, coming in third out of three. 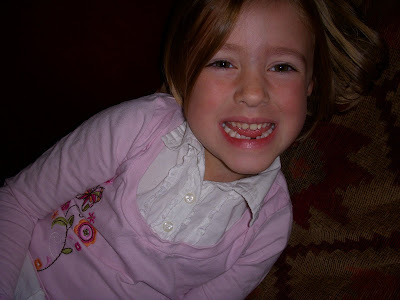 Mini-me has been working on a loose tooth for quite some time now. By last night, it was just hanging there, but I was not permitted to touch it. 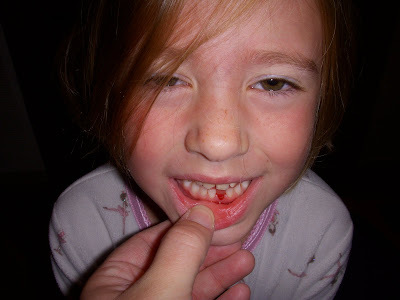 As we all know, daddies are best at pulling teeth. So this morning before breakfast, Curly gave a gentle tug and out it popped. Several hours later, and she's still talking about it and checking it out. She thinks it feels weird. I am just glad it's out and done and didn't hurt her. The next one will be a piece of cake. Maybe she'll even let me pull it. Last night we went to the Moonlight Maze. 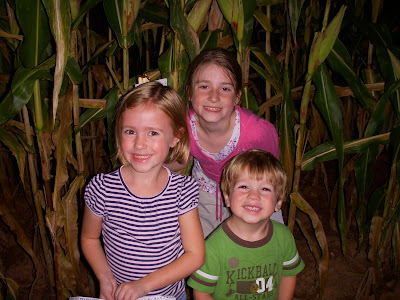 We have been visiting this corn maze for 6 years. 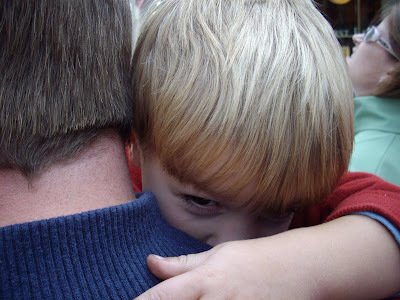 The first time I went, I was pregnant with Mini-me. This year, I find myself in the same delicate condition. Anyway, the maze is huge. Every year, there is a different theme. One year, it was Nascar. Another, it was pirates. This year, the theme was Transformers. 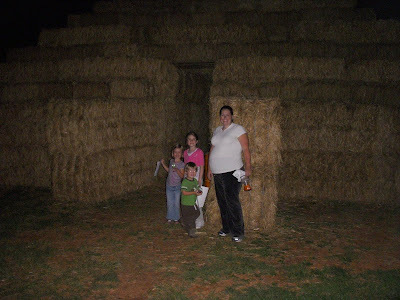 We entered through this big pile of hay. It was long and disorienting. When you came out, you didn't know where you were. 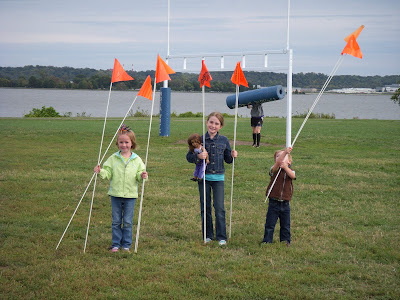 Only the sound of the pumpkin cannon could give you a clue. Within the maze, there are several small mazes. Each one has numbered checkpoints to help orient you. 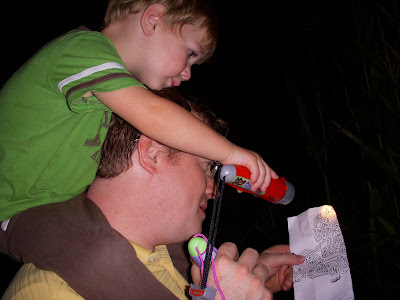 Curly and Patch were in charge of the map. It's tricky for several reasons. First, the lines on the map are the paths. Second, people who don't follow the map cut through the corn, creating paths that don't exist on the map. We took one such path near the end and got lost. It freaked Mini-me out. 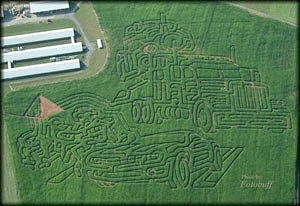 But, once we found a number, we were able to orient ourselves and get out of the maze. The kids had a great time. We didn't do the entire maze, because doing the whole thing would have equaled about 5 miles or more of walking. We can't wait to go again next year! 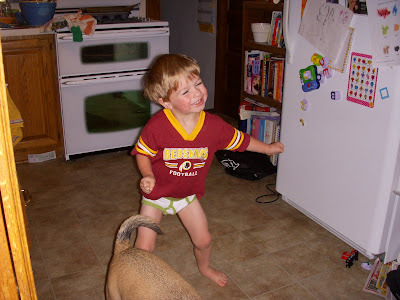 When we started potty training this week, my confidence level was low. I was sure we would have accidents all day long for weeks. In fact, a mere 3 hours into day 1, and I was ready to throw in the towel. But Patch has surprised me. We have had one accident since day 1 (we are on day 4). We have gone out in public. Patch had to wait his turn at Chipotle, and held it. Yesterday we made the 30 mile trek west to pick up Flower, and he was totally fine. I hope it's not premature to hang a sign on our house that declares "Mission Accomplished!" but I feel like he gets it enough to be considered trained. Way to go, Patch. 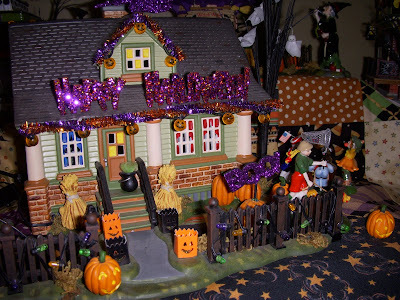 We put up our Halloween decorations over the weekend. 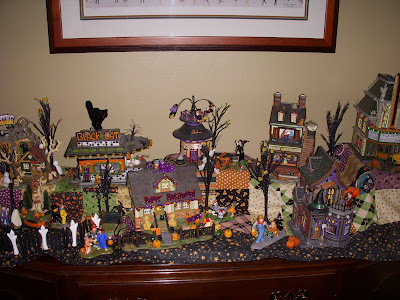 My favorite, as usual, is our Halloween village. This is what I want my house to look like someday. Curly is not on board with the concept of exterior illumination. It's enough that I make him climb on the roof at Christmas. I never noticed the legs sticking out of this one. A little nod to the Wicked Witch of the East. Love! I think we've almost got it. 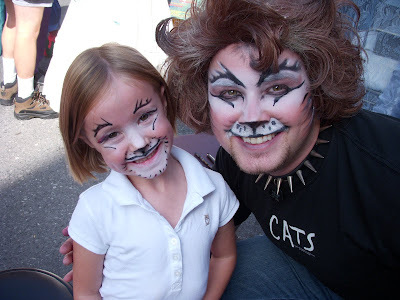 At In the Street, Mini-me wanted to get her face painted. 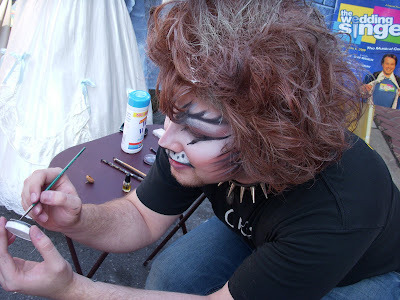 Our friends from Way off Broadway were there to transform anyone who was game into a cat. This is Jordan. 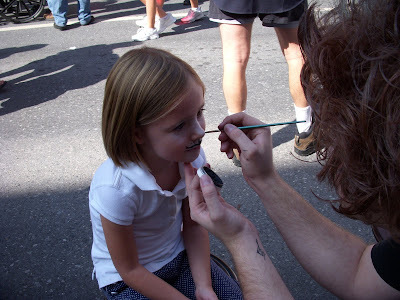 He did his own face painting. Mini-me was one happy little girl. 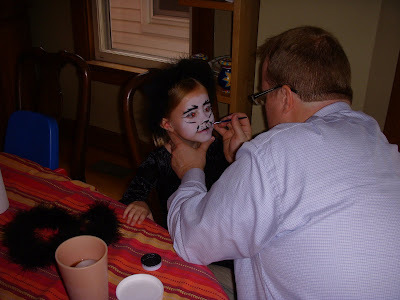 I tried memorize how Jordan did it, because Mini-me is going to be a black cat for Halloween. Today is the city's annual street festival, called "In the Street." We see a lot of people we know, but this was the first year we spotted a bona fide celebrity. 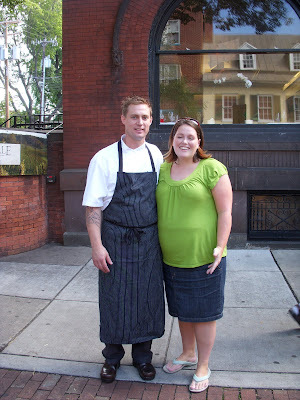 Bryan Voltaggio was outside his now famous restaurant, Volt. 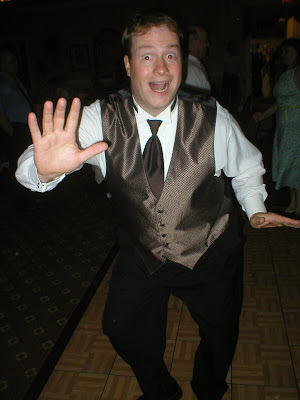 Please forgive my appearance in this photo. I was so dang excited. I couldn't stop talking. I think I may have told him I loved him. I'm not sure. I am confident he found me charming and not psycho. 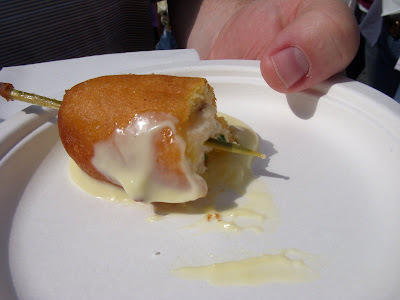 This is what he served: a lobster corndog. Curly said it was excellent. We'll take his word for it. The other option was a gourmet kobe beef hotdog. I'm not allowed to eat hotdogs, being in a delicate condition. Curly promised he would take me there to eat before the baby comes. That gives him about 10 weeks. We better make reservations now! I made a quilt for our favorite babysitter. She turned 18 this summer, graduated from High School, and went off to the great adventure that is college. We miss her. She told me she liked bright colors, so I used the brightest I could find. 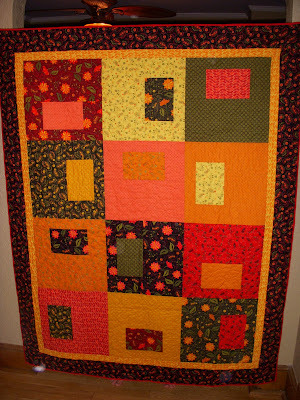 The photos are a little dark, but trust me, it is a bright, cheerful quilt. 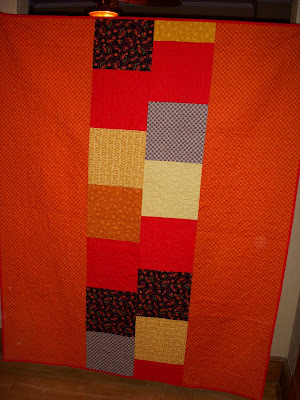 I pieced the back and used a lot of orange. She sent me a text today that it arrived, and just in the nick of time, since there is already snow on Y-mount.